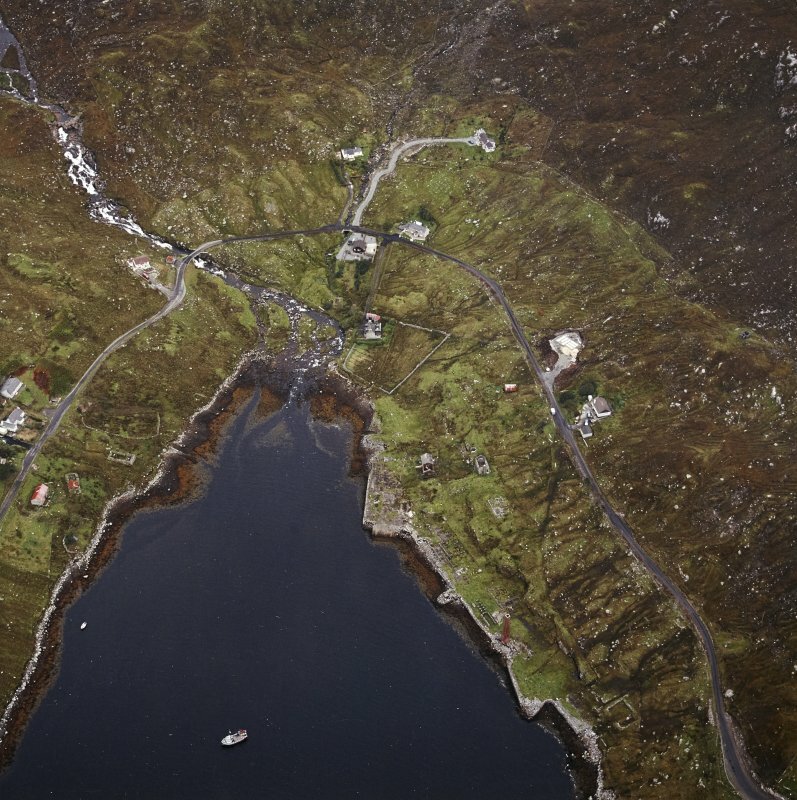 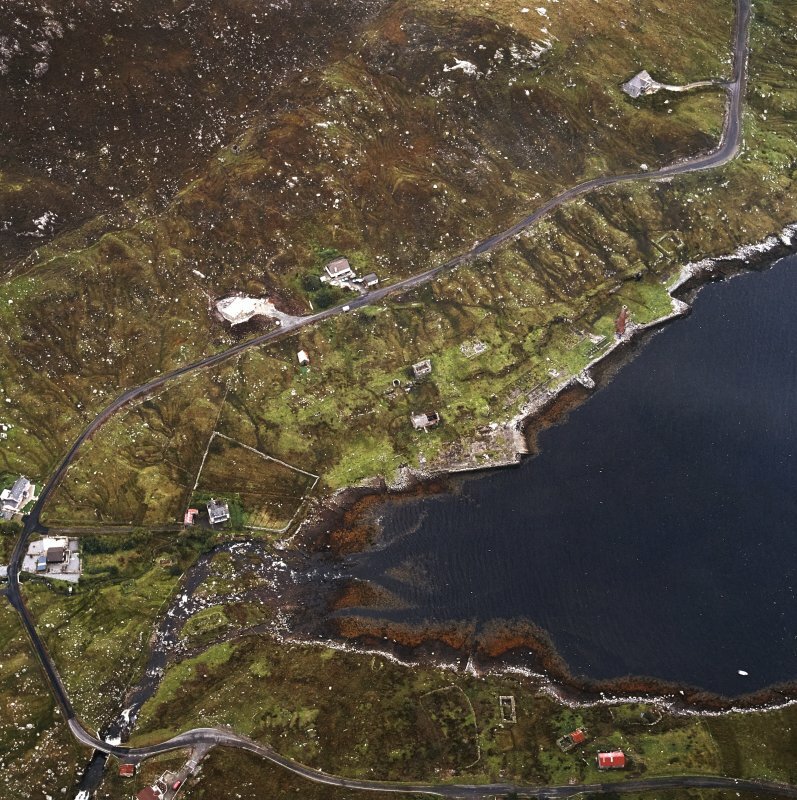 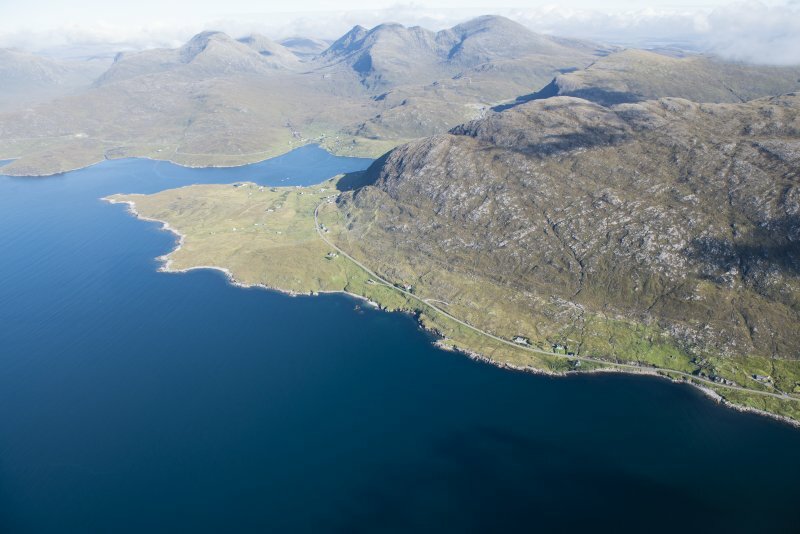 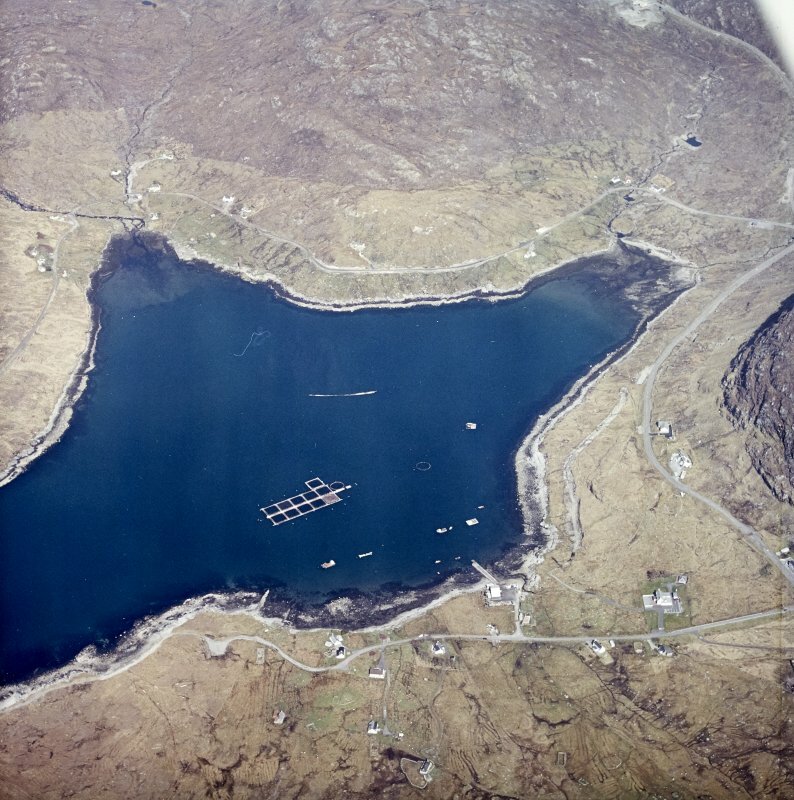 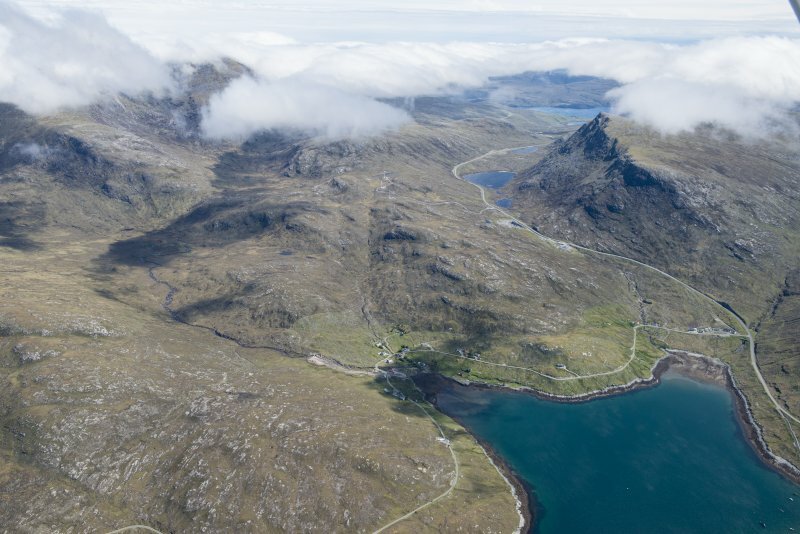 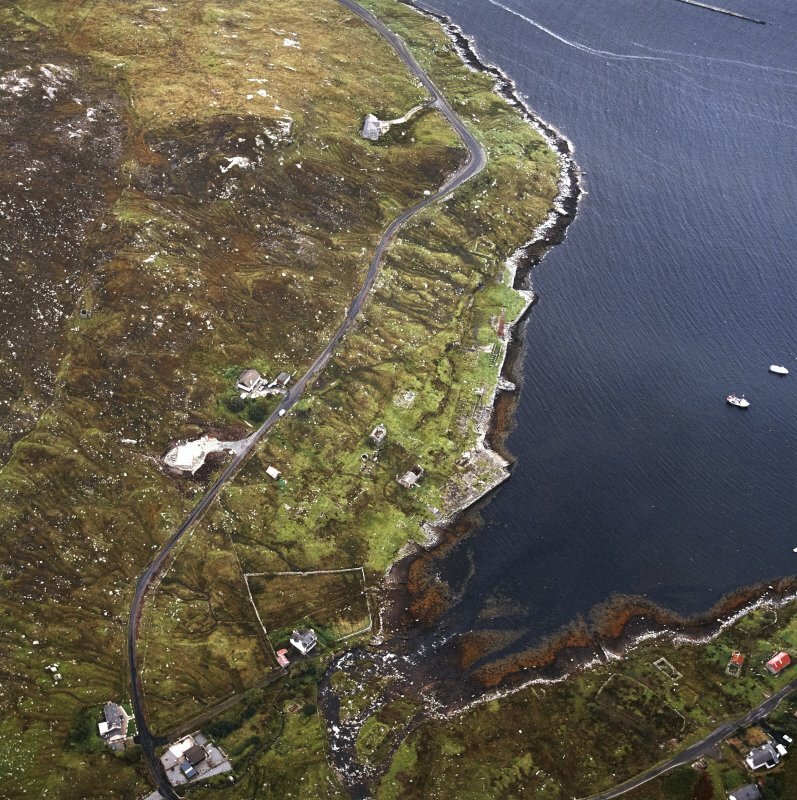 General oblique aerial view of Loch a Siar and Ardhasaig with An Clisean beyond, looking NNE. 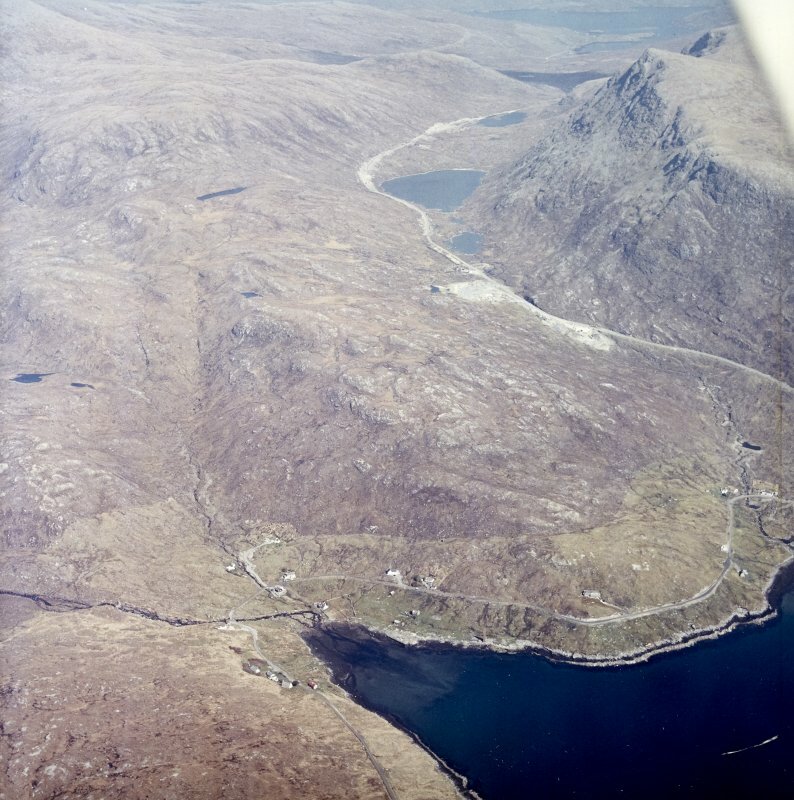 General oblique aerial view centred on the township with the quarry adjacent, taken from the WSW. 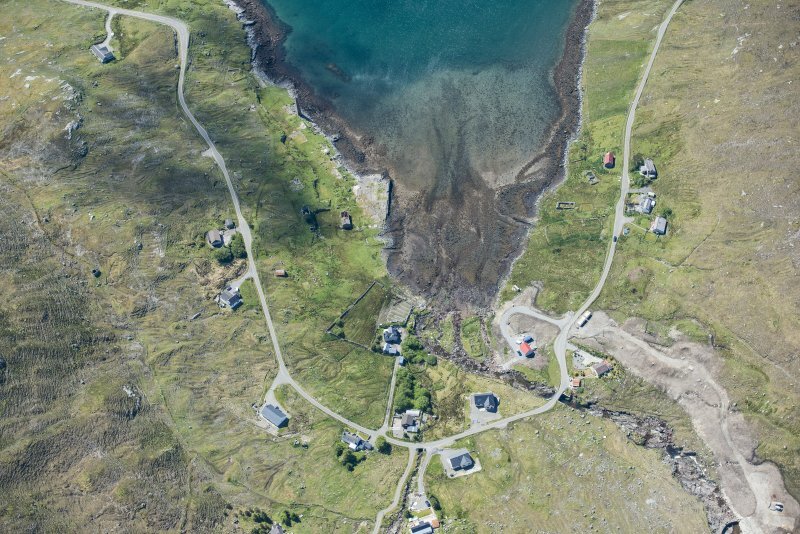 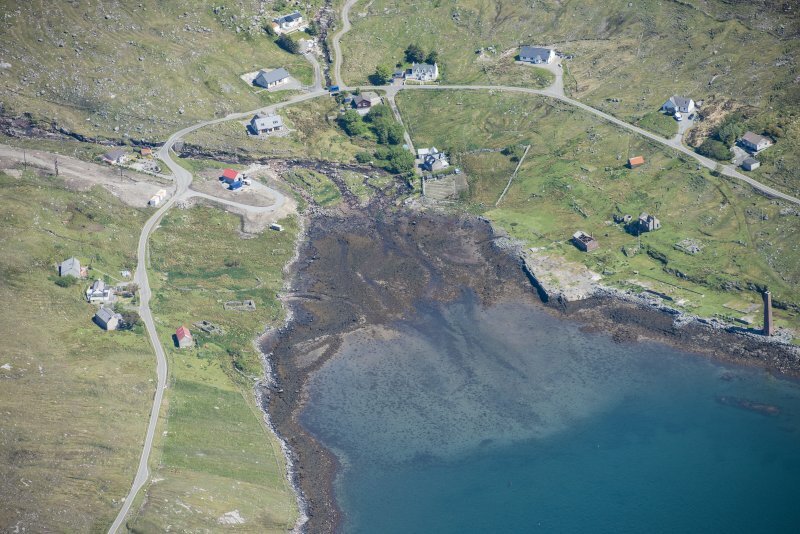 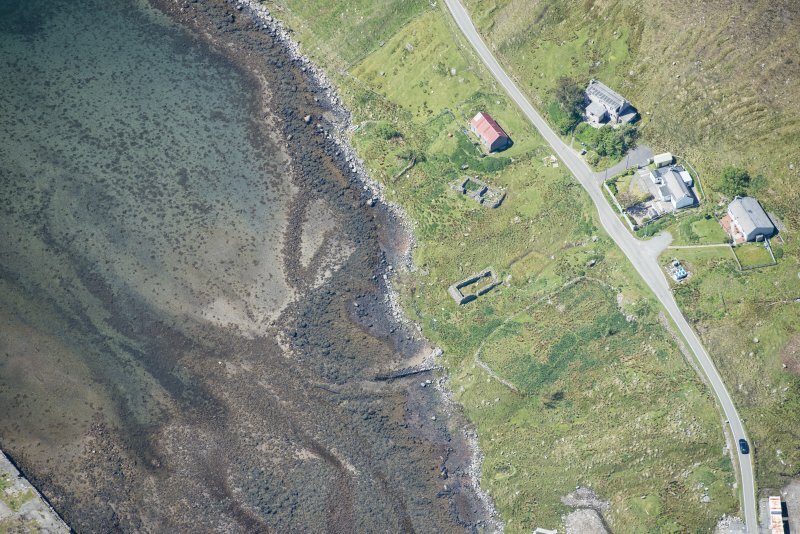 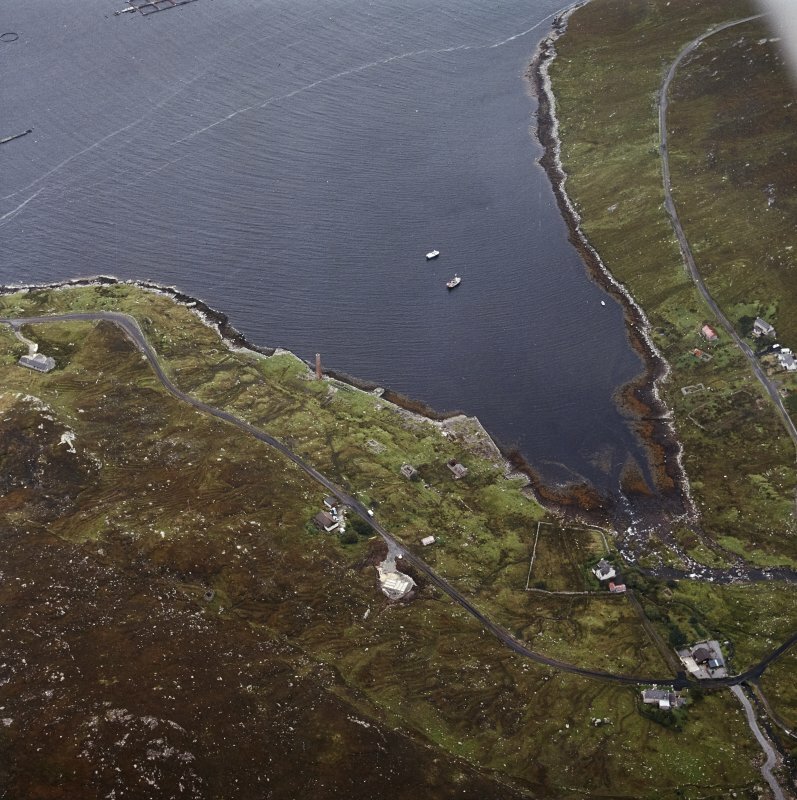 Oblique aerial view centred on the remains of the whaling station with the remains of the township adjacent, taken from the WNW. 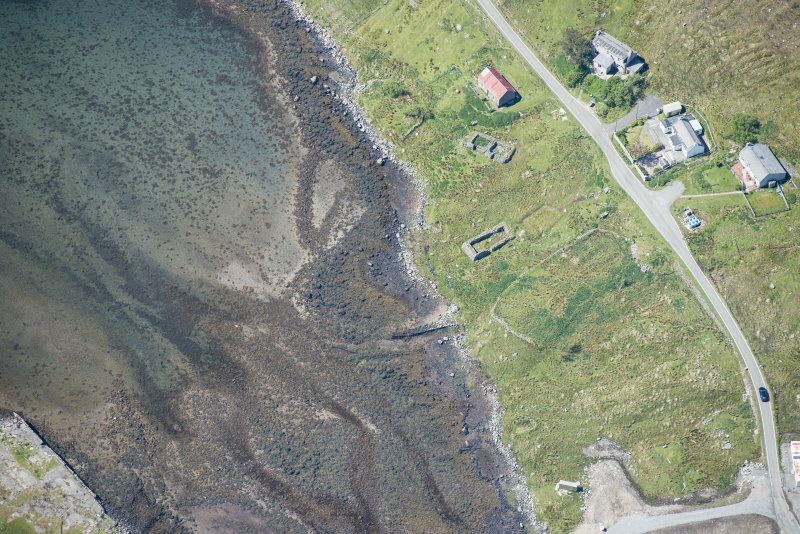 Oblique aerial view centred on the township and the remains of the buildings with the township adjacent, taken from the SW.
Oblique aerial view centred on the remains of the whaling station with the remains of the township adjacent, taken from the NE. 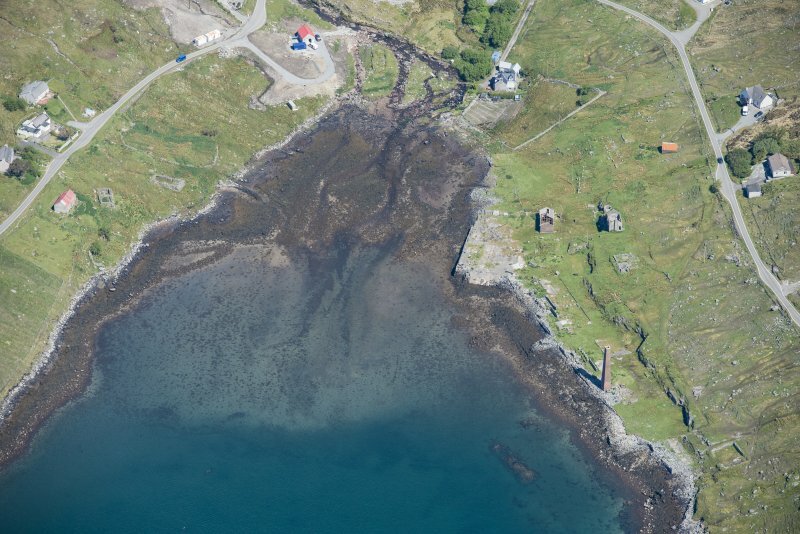 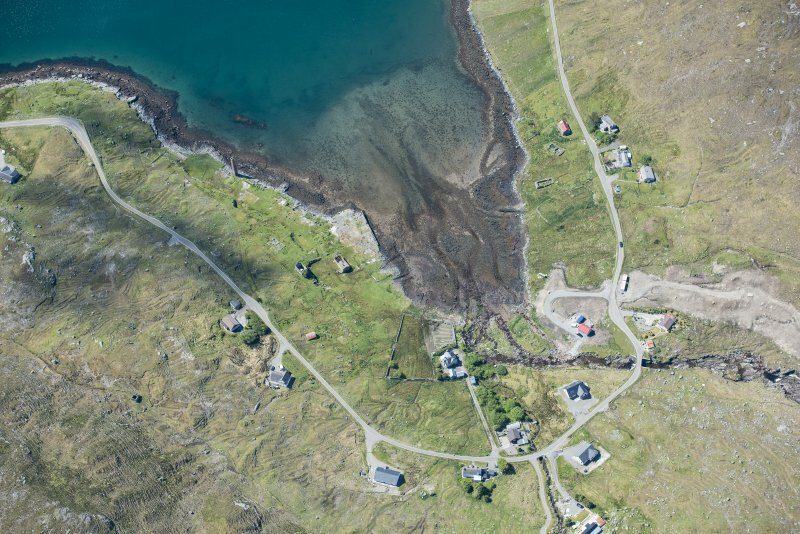 Oblique aerial view centred on the remains of the whaling station with the remains of the township adjacent, taken from the SSW. 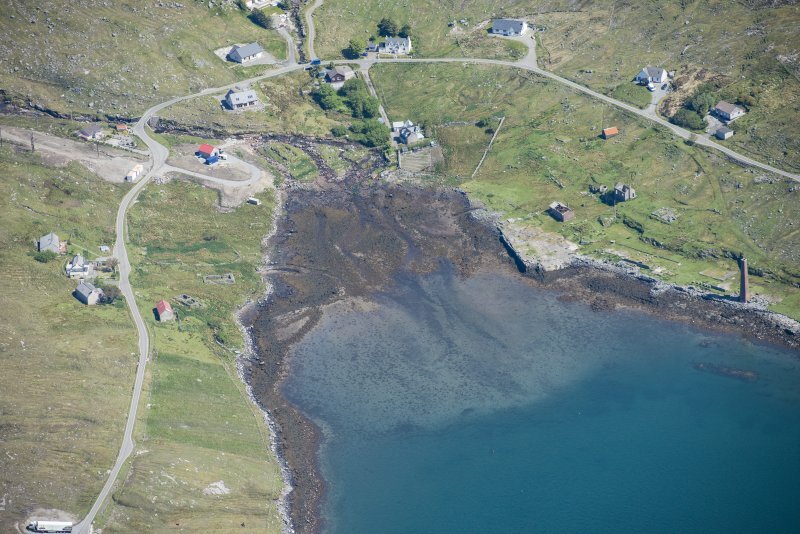 Oblique aerial view centred on the remains of the whaling station with the remains of the township adjacent, taken from the NNW. 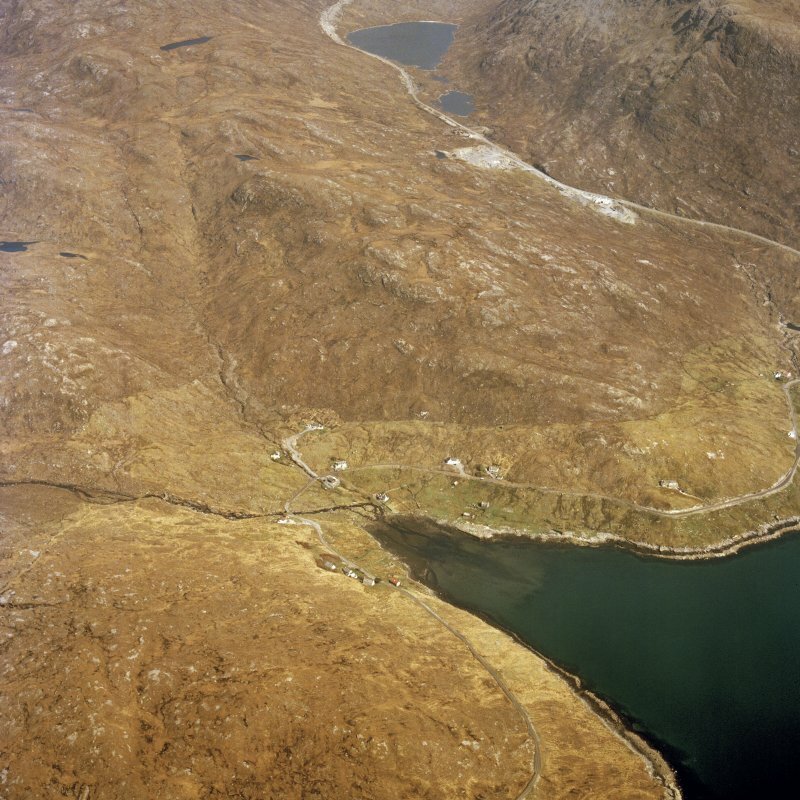 A township comprising two roofed, two partially roofed, four unroofed buildings, two enclosures, a sheepfold and a head-dyke is depicted on the 1st edition of the OS 6-inch map (Inverness-shire, Island of Harris 1881, sheet x). 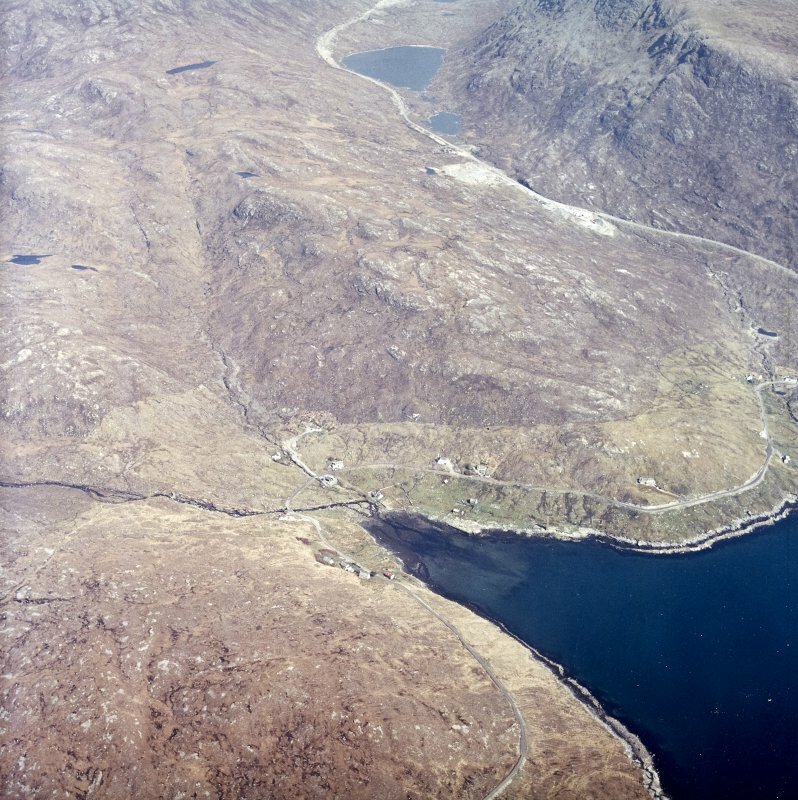 Eighteen roofed, nine unroofed buildings, several enclosures, some field walls and part of a head-dyke are shown on the current edition of the OS 1:10000 map (1973).